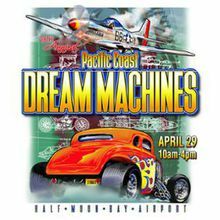 Get ready for a world of wonder at the Pacific Coast Dream Machines Show, a uniquely spectacular showcase of motorized mechanical marvels from throughout the 20th and 21st centuries coming up on Sunday, April 29 from 10am to 4pm at Half Moon Bay Airport. “The Coolest Show On Earth” celebrates its 28th year with a mesmerizing array of more than 2,000 ultra cool antique, vintage, classic, custom and exotic machines of all kinds on display for public viewing. Automobiles ranging from hot rods, dragsters, customs, low riders, imports, street machines and muscle cars to fanciful touring, luxury, and sports cars; also exceptional vintage warbirds, classics from the 40’s and 50’s and homebuilt aircraft, tricked out trucks and motorcycles, military and SWAT vehicles, a special display of vintage police cars, world-record streamliners, model-T fire engines, antique engines and tractors, helicopter and plane rides, custom bicycles, kinetic art, rolling sculptures, extreme toys, mega-modified machines, advanced “green” technology vehicles, jaw-dropping flyovers by historic military aircraft, high-flying freestyle motorcycle stunt shows (11:30am, 1:30pm, 3:30pm), expert skydiving performances, monster truck rides, unimotorcycle drag races, Bob Senz’ Big Cacklefest – a mass synchronized firing-up of the engines (10am, 12pm, 2pm), Mazda Raceway Laguna Seca’s special vintage Top Fuel dragster exhibit, plus the very cool design What’s Up Photo Booth trailer, a super-thrilling bungee jump, waterballerz, climbing wall and tons of kid’s amusements, fabulous food and drink, and stellar live music all day by the Michael Ahern Band, Extra Large and East Bay Mudd featuring Fred Ross –– to benefit the Coastside Adult Day Health Center. 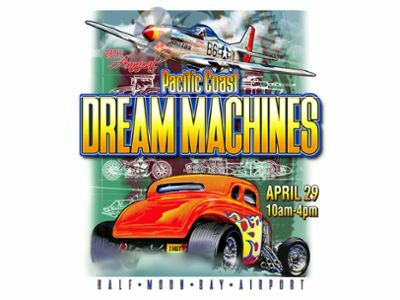 REGISTRATION FEE: $40 per machine ($50 for entries postmarked after April 15) and includes a dash plaque and admission for two people. 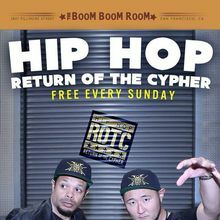 Register online at https://dreammachines.eventbrite.com? WHEN: Sunday, April 29, 2018. 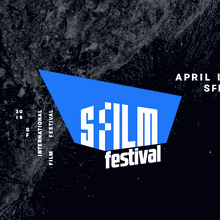 Hours are 10 a.m. to 4 p.m.
WHERE: Half Moon Bay Airport, 9850 N. Cabrillo Highway, Half Moon Bay CA 94019 – located on Highway 1, about 20 miles south of San Francisco and 5 miles north of Highway 92.